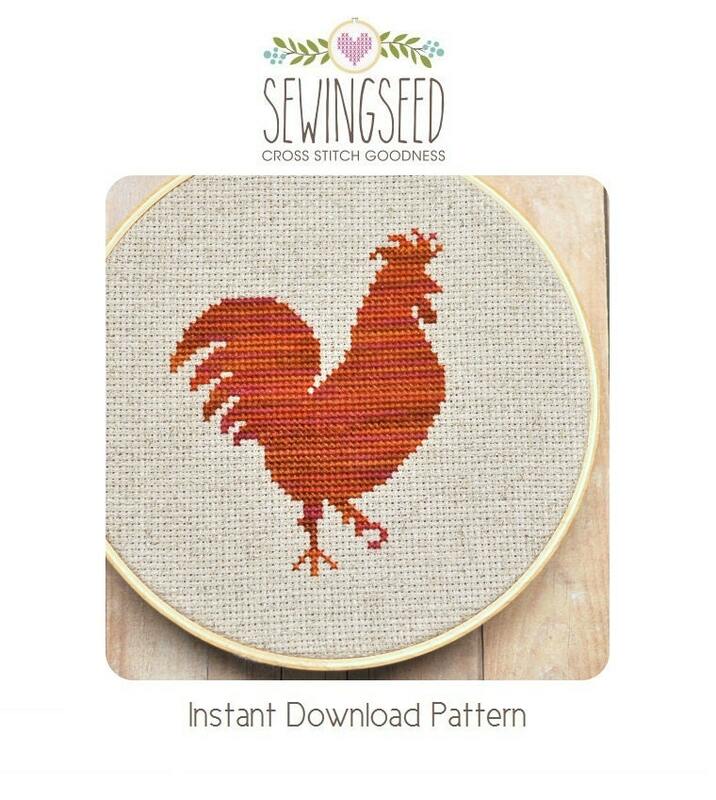 Rooster Silhouette Cross Stitch Pattern available for instant download via Etsy. This pattern is in PDF format and consists of an example photo, a floss list, and a black and white symbol chart. You can see a small sample of the symbol chart in the last photo. General instructions on how to make the item as shown will also be provided. In order to view and print the files, you will need a PDF reader which you can download free at http://get.adobe.com/reader/. ♥ You will need 1 DMC variegated color. You can choose to stitch the pattern with variegated floss, or you can substitute your favorite solid color. Please remember that if you decide to stitch the pattern with variegated floss, you will see changes in color as you stitch that will make your project unique. Beautiful pattern! I love that it's available for instant download too!